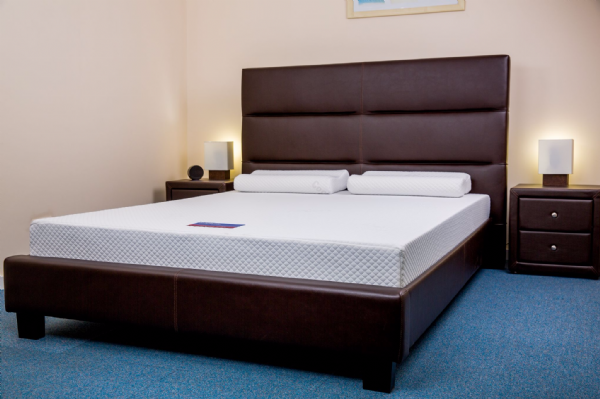 We have great pride in this mattress it is entirely British made, giving not only quality assurance but also the peace of mind knowing it is made in Britain and is fully tested and compliant to UK safety regulations. 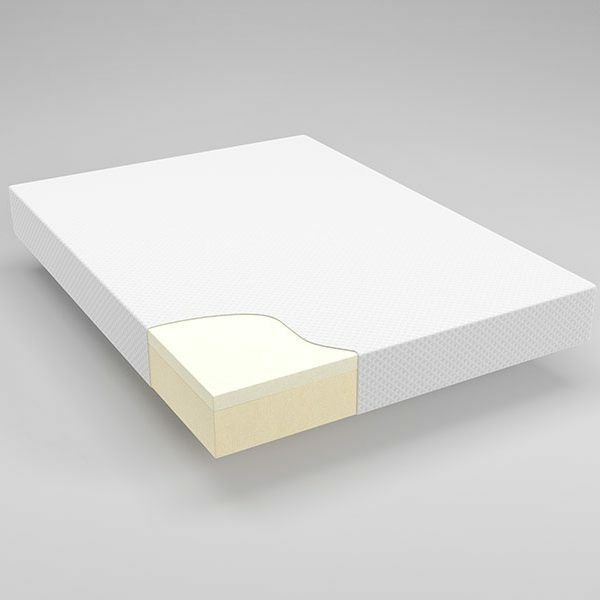 Each of our memory foam mattresses are custom cut per order in the heart of the Sussex countryside. Using the highest grade memory foam products in the country, our mattresses are a match for any mattress brand in the country. We have been manufacturing and designing our own UK mattresses for 15 years, so long in fact we are the most experienced mattress supplier on the market. 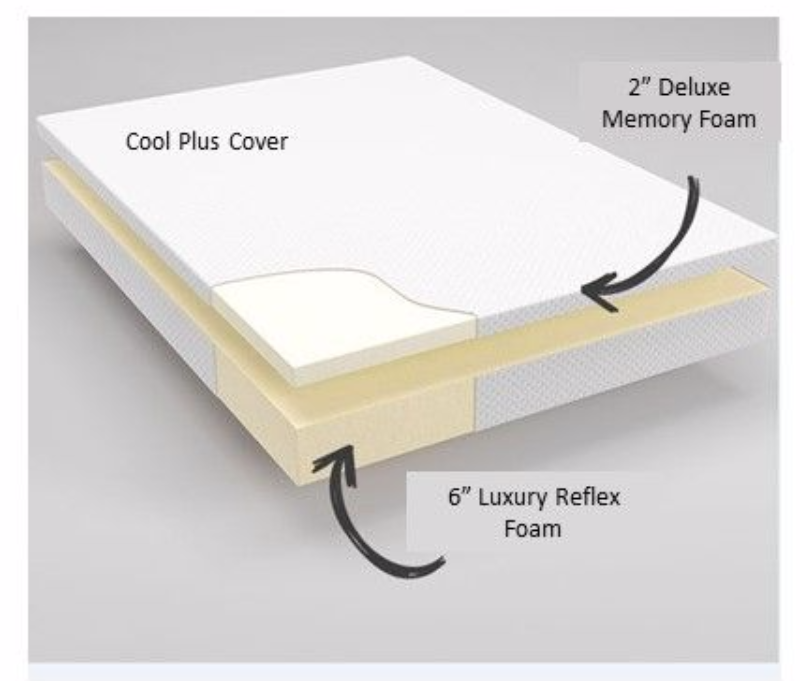 The base is 6" layer of quality Reflex polyurethane foam that gives a perfect sleep inducing feeling, this is bonded to a 2" layer of pure memory foam providing unique pressure relieving properties. This combination ensures comfortable, quality sleep. The unique qualities of Memory Foam promote a straighter spinal position and reduce pressure on all the body's joints, if you combine this with a supportive base layer there is no better combination for keeping your posture correct and having a supreme night's sleep. The combination of the 2 foams will provide a Medium feel. As with all of our mattresses we can make adjustments to them so if you feel that you require something a little different from the norm then please don't hesitate to contact us. Utilises all the best products currently available in the UK . The luxury quilted cover is a luxury Cool Plus cover, the Cool Plus material helps to pull moisture away from the body therefore keeping you as dry and cool as possible. The cover is completely removable due to a zip and is fully machine washable. This product has the added benefit of FREE Delivery, and comes with a 5 Year Guarantee.